Arwel is an idyllic luxury seaside haven in a truly stunning area. 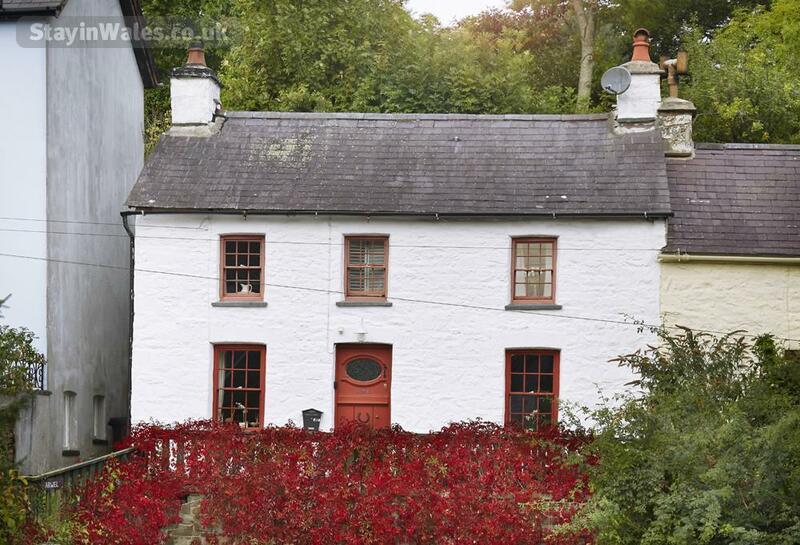 This traditional stone cottage is full of character throughout. Tastefully renovated, retaining all the charm of the original features, it is fully equipped for modern day luxury living, making it the perfect escape in any season. 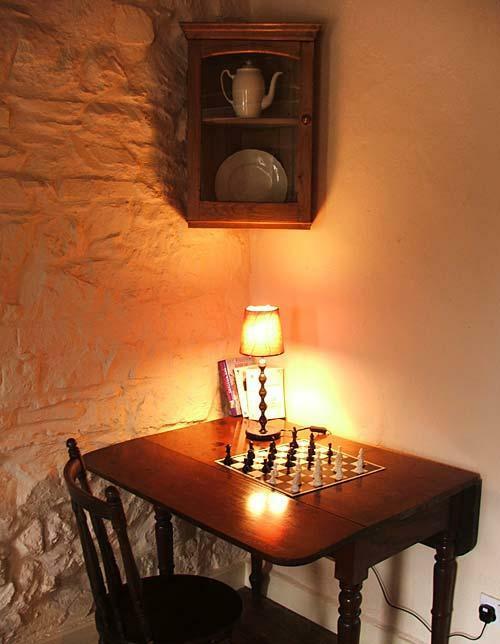 The cottage has been completely refurbished and restored with limewashed stone walls, original wooden floors, doors and fantastic wooden partitions too. 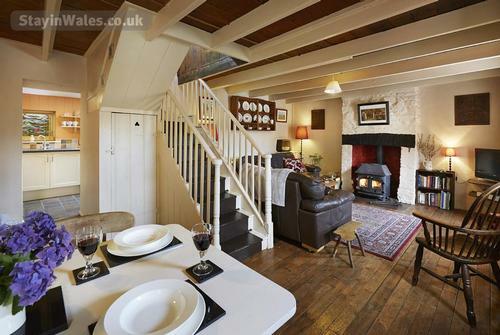 On the ground floor is a large lounge and dining room with flat screen satellite tv (Sky), dvd, cd/radio, ipod docking station and of course a lovely woodburning stove. 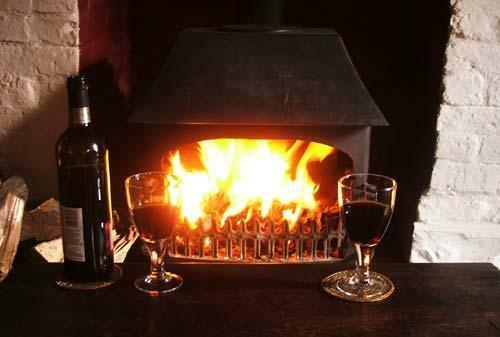 The stove has glass doors which can also be opened back to enjoy a perfectly efficient open fire. There are two comfortable leather couches, and lots of books and games too. There is also a lovely antique dining table and chairs. Free broadband access is provided for your convenience. 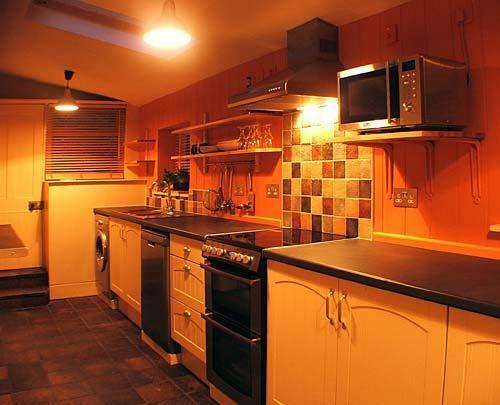 The kitchen is fully fitted and equipped for self catering in style. There is a ceramic top stove, dishwasher, washing machine, fridge freezer, microwave and much more. There is a lovely breakfast bar to enjoy the sunny feel of the kitchen. 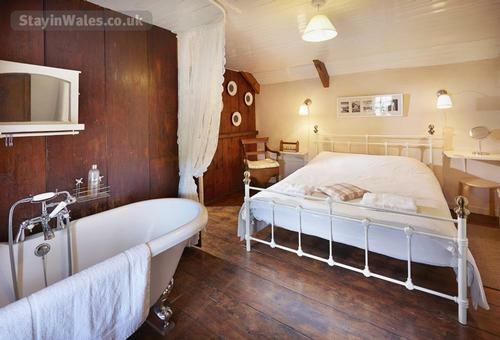 Upstairs are two very pretty bedrooms as well as a luxurious shower room. 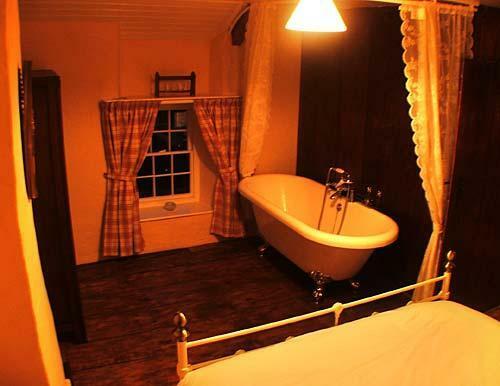 The master bedroom has a very luxurious kingsize bed and that extra special double-ended rolltop bath. It is an amazing experience to lie in the bath and just let the birds outside your window entertain you to the background music of the stream in the Valley below. 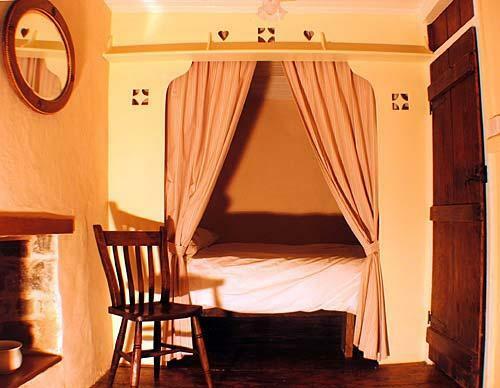 The second bedroom has a traditional style curtained 'box bed' which is also kingsize. 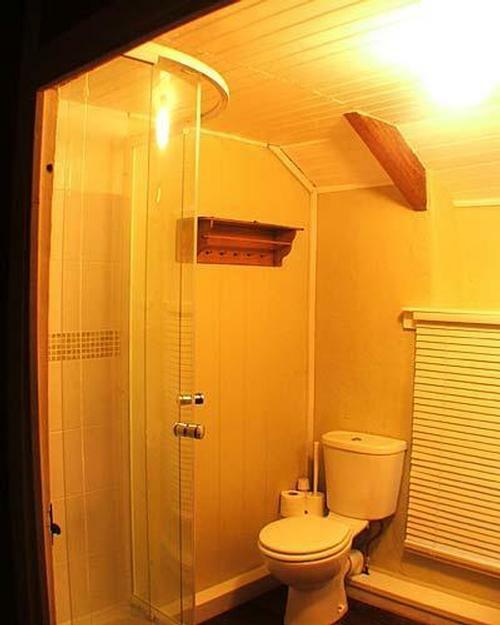 You really won't want to leave it. 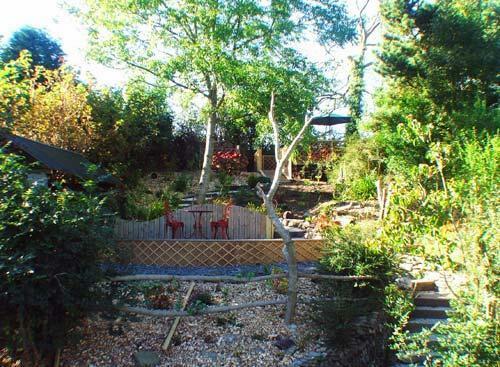 The terraced gardens are an idyllic private hideaway with beautiful woodland views, tastefully furnished decks and sunshine all day long. Arwel is strictly a no-smoking zone. You are kindly asked to smoke outside and never inside the cottage. 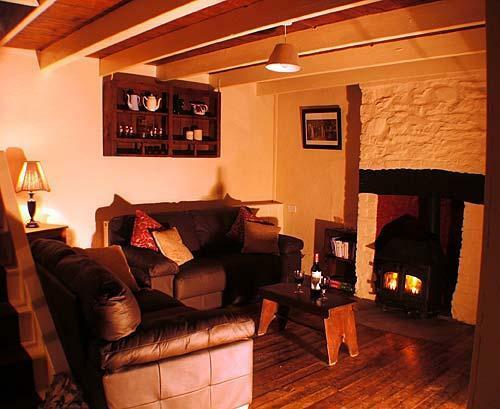 Our prices are for up to 4 people and include linen, power, central heating and initial firewood. 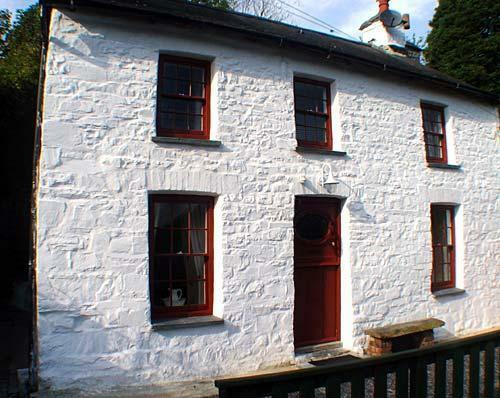 The cottage has free broadband access too. Beds are made up for your arrival with fresh crisp linen. 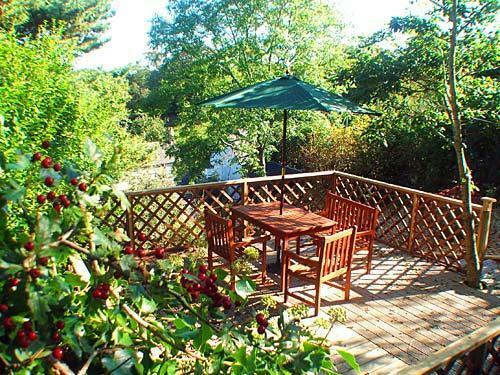 Arwel is a perfect Seaside Haven situated in a very pretty rural village amidst a stunning wooded valley. 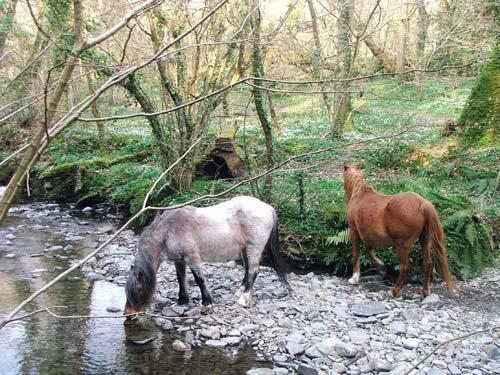 It is just a few minutes walk from the stunning Cardigan Bay Heritage Coastline. Sit outside and listen to the stream as it finds its way to the beach nearby. 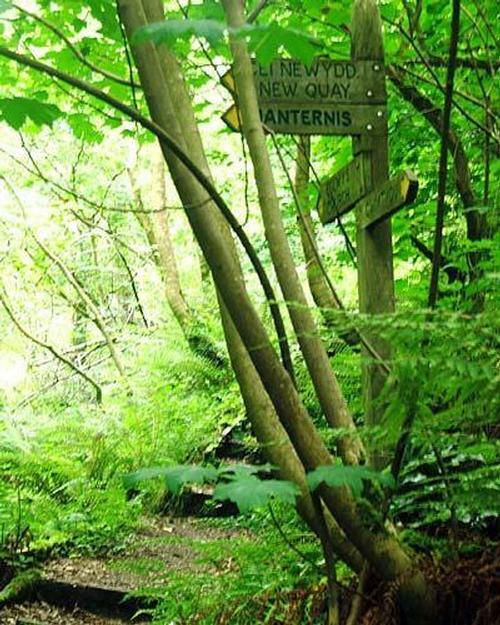 Follow it and it will take you through truly stunning ancient woods, via the waterfalls to a gorgeous hidden beach. A real hidden gem, just minutes from your cottage. 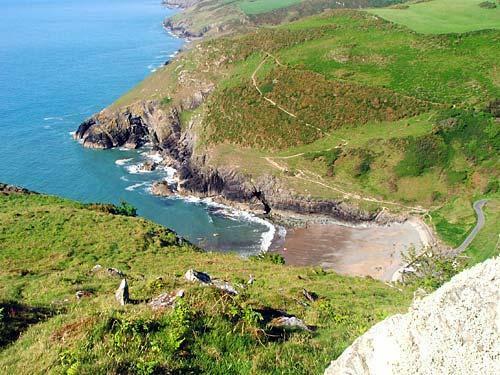 You can join the Coastal Path which will take you along to Seal Bay, magical Cwmtydu and historic Llangrannog. 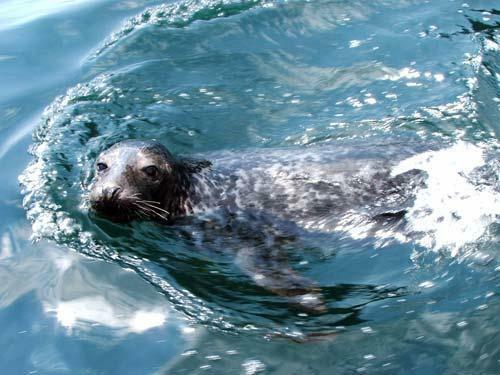 Head off in the other direction and follow the cliff path to the pretty fishing village of New Quay, watching for dolphins and seals en-route. Enjoy spectacular unspoilt scenery no matter which way you turn, and no matter which season you decide to visit in. New Quay is just 2 miles away via pretty country lanes, Cwmtydu is also just 2 miles away and Llangrannog is just 6 miles away. A wide variety of attractions to suit all ages, from ancient castle ruins to action packed theme parks with thrilling roller coaster rides, from dolphin watching boat trips to sailing or windsurfing lessons, from a gentle hack out on a friendly pony to mackerel fishing on the high Seas. Award winning golf courses and excellent fishing lakes, coastal farm parks and even a honey farm. 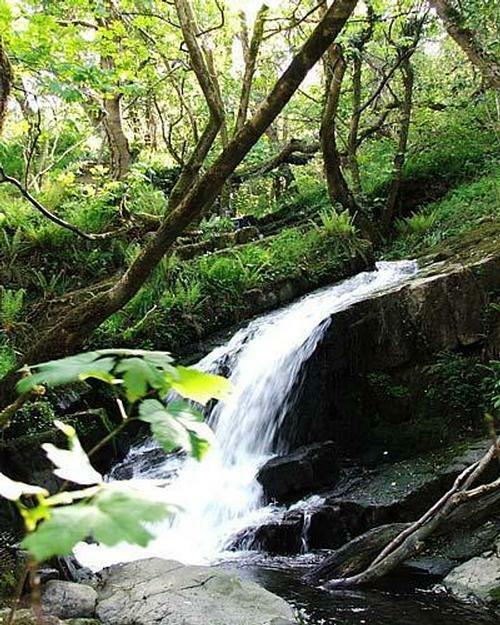 You will find a helpful information folder in Arwel and along with themaps and guides we provide, we do our best to ensure you can make the very most of your visit to our truly spectacular, unspoilt part of the world. The area is renowned for its excellent quality food - fresh fish, great beer and a warm, friendly welcome to go with it. 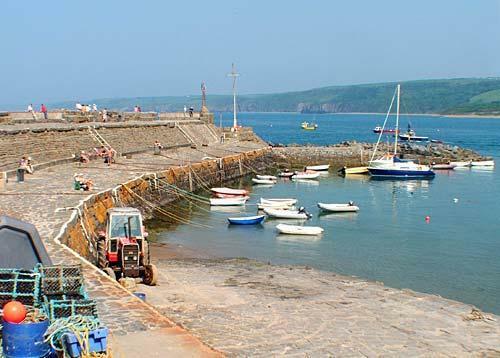 Freshly caught fish including lobster and crab can be purchased in nearby New Quay or Aberaeron. The local cheeses, honey, jams and chutneys, creams and yoghurts are all irresistible too. Local farm shops stock a mouth-watering array of all of these along with fantastic local meat, poultry and game. You will want to rush back and cook it in your very-well equipped and very stylish kitchen at Arwel. And if the chef fancies a night off there is a lovely country inn, The Crown, just a a mile away. The friendly owners serve excellent food, good beer and wines. 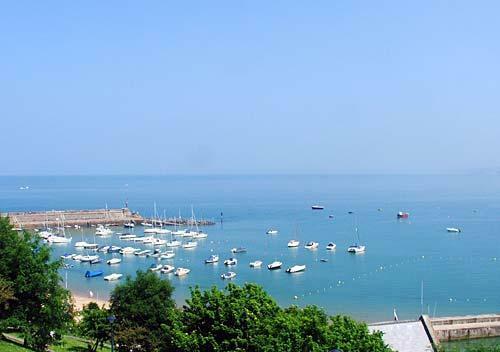 There are a wide variety of restaurants and takeaways in New Quay and the local area. Whatever you fancy, be it Thai, Chinese, Indian, Italian, they are all within easy reach. 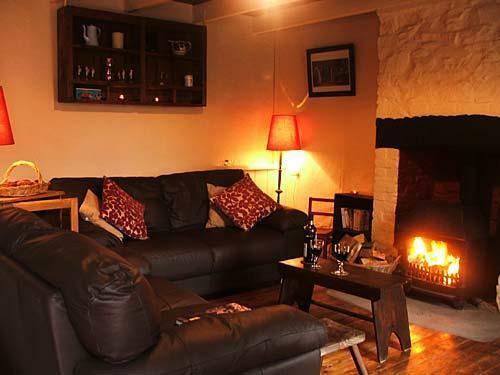 The renowned Harbourmaster Hotel is a must for any visiting foodie and it's only a few miles away from Arwel. There is a good local taxi service too just in case you fancy sharing a bottle of wine and don't fancy the walk home. 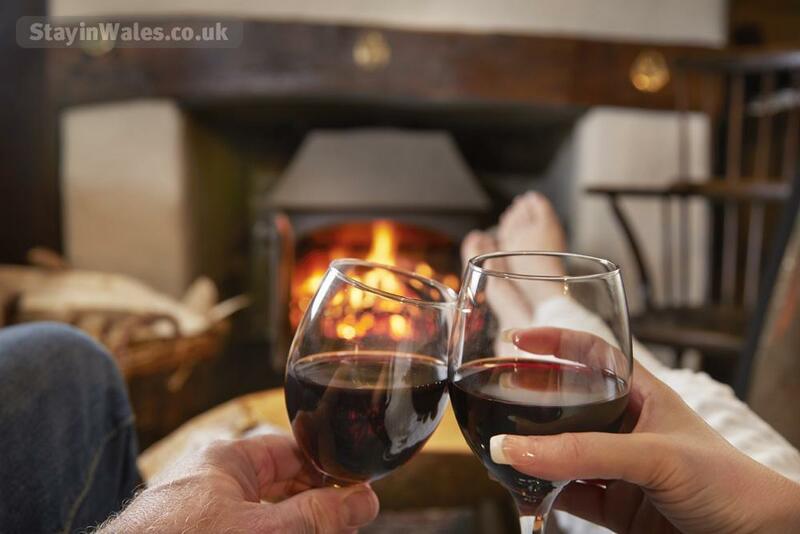 At Arwel we do our best to ensure that we provide everything you should need for self catering in style. You will find everything from toilet paper to firelighters, hairdryer to iron, cafetiere to candles, tea towels to local maps to footstools to name but a few. With eco-friendly cleaning products and full recycling facilities we also try to make it easier for you to enjoy an environmentally friendly holiday. For those who wish to stay in touch there is also free broadband access with wifi throughout. Changeover days at Arwel are Friday or Monday. At off-peak times we may be able to arrange a Sunday changeover depending on other bookings. Arrival time is after 3pm and on departure the house must be vacated by 11am. 2. We will then provisionally reserve the accommodation for you for 3 days pending receipt of required deposit. 3. 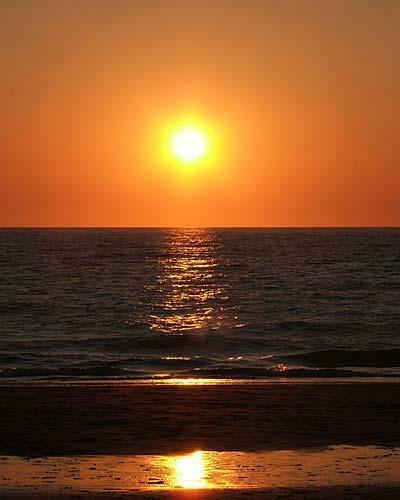 A deposit of 50% of total holiday secures the booking. Payments are accepted by card, cheque or bank transfer. 4. Upon receipt of deposit we will send written confirmation (post or e-mail) of your booking along with directions on how to get to to Arwel. 5. The balance is payable 6 weeks prior to arrival, via one of the above mentioned methods. 6. In the event of a cancellation made by you we will make very effort to re-let the accommodation and if successful will repay your deposit less an administration charge of £30. Please note, however, that in the event of a cancellation made within 3 weeks of the beginning of your stay we will be unable to return your deposit. In the event of cancellation made within 3 weeks then unless we manage to re-let the property you will be required to pay the total balance due. We suggest you consider appropriate holiday cancellation insurance to cover this possibility.